As we come towards the end of 2016, many are bemoaning the seemingly endless outpouring of grief on social media for celebrity deaths. There’s no doubt that it’s been a nerve-racking year if you’re famous and part of the post-WWII “Baby Boomer” generation but a lot of people are getting sick of the intense posts from fans, citing that many important people have passed away this year who weren’t celebrities, and stating the obvious – we all die. But have there been more celebrity deaths this year than in the past? There’s evidence to suggest that deaths among the famous have increased, as reported in The Week recently. The dearth of internet news, celebrity sites and You Tube channels has meant that more coverage is given to the comings and goings of celebrities. And of course, social media itself has enabled ordinary people to post tributes to memorialise their favourite celebrities. For my part, this year has been brutal. As a career musician and writer, I’ve spent a good deal of my life listening to, enjoying and analysing the work of David Bowie. There were times in my teenage years when life felt very strange and his work helped me make sense of it. After Bowie’s death in January, the rot really set in and I lost many significant people in my life. Most notably Jeff Weston, Leon Turner, Kevin Gleeson and my dear, beautiful friend Jacqui. There were others I didn’t write about, several acquaintances from the past as well as newer friends. Anecdotally, I have to say that social media has heightened this. 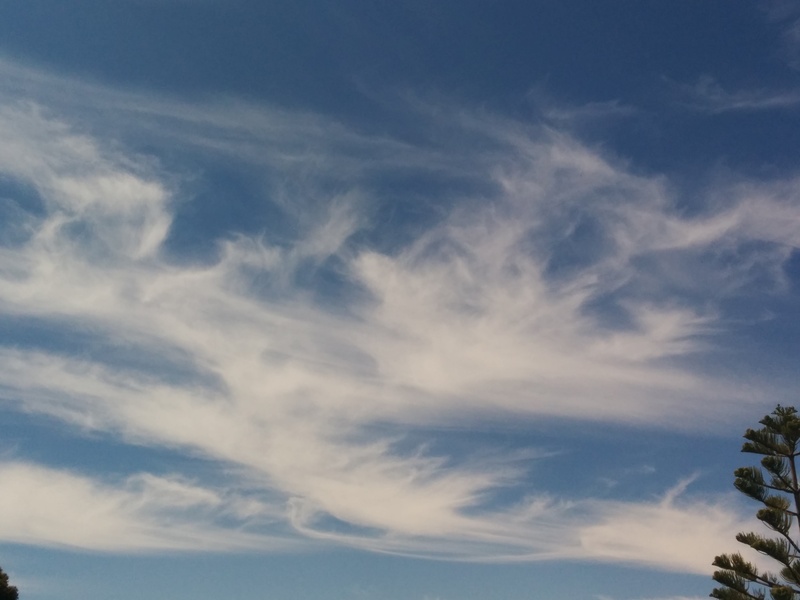 Reconnecting with people from my past and forming new networks has tended to make my circle of friends much broader and spreading news a very immediate thing. Now at the end of the year, I was incredibly saddened by the death of Carrie Fisher and tragically only a day later, her mother Debbie Reynolds, who were both important figures in my life for different reasons. Like so many of my generation, I first saw Carrie Fisher on the big screen in the original Star Wars (1977) . She was only a few years older than me, and her portrayal of the feisty Princess Leia was an inspiration. Leia showed us that girls could be heroes too, an important cultural lesson to any young woman of that era. 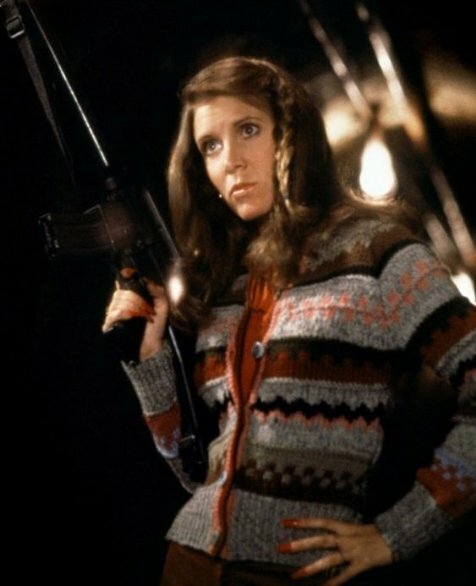 I followed her film career with interest, and particularly loved her as the gun-toting Mystery Woman in The Blues Brothers (1980) as well as her reprisals of Princess Leia in the Star Wars saga. As the years rolled on though, it was her writing that really spoke to me. It takes a lot of nerve and downright bravery to be that outspoken and honest, and her advocacy for mental health issues really struck home with me. And I loved how she aged too, honestly and (for the entertainment industry) rebelliously. Debbie Reynolds is a very different story. Back in the 50’s my brother (who was 14 when I was born) had a typical teenage crush on Reynolds from her lead role in Tammy and the Bachelor (1957). When I was born he was given the duty of naming me, and what better than after his favourite movie star! I was never a fan in the way my brother was, but since his death I always watch re-runs of Singing in the Rain (1952) and think of him. So at a very personal level, 2016 has been quite the “annus horribilis”, bookended by the passing of two people I never met but who spoke to me through their work and one who I was named for by my beloved big brother. On the other hand, there has been a lot of joy for me this year too. My work with Callum and The Superstars was particularly uplifting and there’s great things planned for the coming year. All the personal sadness has underlined how I am surrounded with people who care about me – both professionally and personally. As I said in another post earlier this year, live your life well, with honesty and integrity and love unreservedly. Don’t put off seeing people or telling them you care, be brave and run with it. Thank you for your reflection on all of those sad celebrity deaths. I was a big fan of Star Wars and it was sad to see that Princess Leia passed away. May the force be with her and may we always enjoy her fighting spirit and remember to have some of her own. Happy New Year! Yeah, I was just saying to someone that I’m still fighting mad about so many things while youth culture today seems very vanilla and detached from most forms of counter-culture. It’s the curse of middle age to see your friends and people you admire die. To have Debbie Reynolds die only a day later then her daughter makes such a huge impact. It almost reminds me of the bounds older couples have where if the husband dies they wife dies shortly thereafter. I hope that as we go into the New Year that deaths slow down for a bit.